Do you dance? I do, although not as well as my husband. I can work through and memorize the steps and patterns, but the fluidity takes some time. In fact, it took me years to learn the true art of partnering with him—the essential non-verbal cues necessary for a smooth connection and easy transitions between us. Parenting your child is akin to the art of partnering in dance, the nonverbal lead-follow connection vital for social dancing. Your dance with your child is sacred. It is a two-way process of building and maintaining attachment, trust, and a safe space. When I refer to following, I mean mindfully interpreting what your child indicates she needs (her lead). You choose to respond, mindfully, clearly, building a connection between you and your child. The dance of attachment can be challenging. Your child has had her birth attachment severed. She has a visceral awareness of her disconnection, and this is the lens through which she attaches to you. She needs to attach. She needs you. Your goal is to meet all of her needs. Perhaps you know her full story. Perhaps you have only pieces. The effort you put forth to attach with your child is dependent upon her style of attachment, history, and temperament. How can you mindfully move forward while also respecting the distance your child indicates she needs? Be open to adapting your approach. Observe. Does she lean in or look away? Listen. Are her sounds joyful, sad, or angry? Play. What do you notice? Rest. Regroup. Patience. Try again. Dancing is a process. Establishing a rhythm takes time. Your child will push away, even as she attaches and becomes securely attached. This is normal. She will seek her independence as she moves into adolescence, but return to you, when she needs you. She seeks the rhythm of dancing with you. Encourage your child to be a child. Let her know you are available if she needs you. Play. Playing with your child builds social and development skills. Think simple, like a board game. Do activities together, such as creating a craft or cooking. Take a long walk in a beautiful setting. Allow for silence, teaching your child that there can be tranquility in the quiet. Establish a routine. This gives your child a sense of control and allows her to begin developing trust, which is necessary for attachment. Take family photos with him, and frame them. Put the photos in her room and around the house, where she and others will see them. The photos reinforce, “I claim you!” The frames represent extra care and being valued. Take care of you. Attachment has no timeline. There will be ups and downs. You will loose patience. You will be stressed. Attend to your spiritual, emotional, and physical health, so you can be there for your child. What tips can you share that have worked for you and your child? What patterns have you noticed with your child? How have you adapted to her needs? How has observing your child made you better at partnering? Spirit-led parenting is one of the core tenets of my parent guide, What To Expect From Your Adopted Tween. Spirit-led parenting focuses on trusting yourself to parent your child compassionately and effectively, based on your life experiences, wisdom, and the common sense you have amassed. Spirit-led parenting is about connecting to your intuition and trusting your core values. It is about parenting with conviction and confidence. Do you wish you could feel more confident and trust yourself as you parent your child? Do you want to parent from your core beliefs and feel proud of how you’ve handled the interactions with your child? Yes? Join me as I share my thoughts and advice TODAY, Wednesday, April 13th. Come and listen! The Spirit-Led Parenting summit is happening now. Valarie Carlene, a parent advocate, and coach has organized this free 21-day event. I am one of the 21 educators featured in this interview series. You can access the telesummit from any computer or mobile device. You can listen to the 30-minute interviews while working, walking, making food, driving, or commuting. During the interview, I share clear, usable information that can assist you with parenting in your daily life, specifically parenting your adopted child. 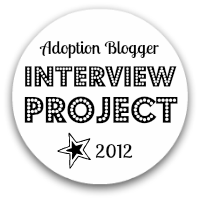 As part of the summit, I am offering a freebie: For Families and Friends: Advice, Suggestions, and Honest Dialogue About How to Best Support Families on Their Adoption Journeys. This brief guide helps people create a foundation of knowledge of how to best provide support for adopting parents and their families. Before you click on the link above to listen to my interview, please purchase a copy of my internationally selling guide for adoptive parents: What To Expect From Your Adopted Tween. My guide loads directly into your e-reader. I encourage you to join me in embracing a movement of loving and trusting ourselves as parents and believing in the innate goodness and strength in each of our children. Please join me on TODAY!